This vast island is like no other. With a mountain to climb and take in stunning views of the pacific, to the long white sandy beaches with crystal clear waters perfect for paddle boarding and snorkelling. Sip cocktails at the cool main bar or uber hip Rocks bar. Splash about in the pool before heading to lunch by the beach. Take a dip in the main pool or head over to the newly opened ultra lush, adults only pool. This expansive, infinity pool oozes luxury. Set on the edge of the island and adjacent to the Rocks bar. Relax and watch spectacular sunsets, listening to easy beats on the stylish deck looking out to Vomo Lai Lai. Vomo Lai Lai is a private deserted island that you can hire all to yourselves for a romantic picnic, Robinson Crusoe experience. A must for the snorkel enthusiast with colourful corals, hundreds of fish including our favourite, reef shark. Just 15 minutes north of Nadi International Airport by helicopter or seaplane, Vomo instantly becomes your personal paradise the moment you arrive. 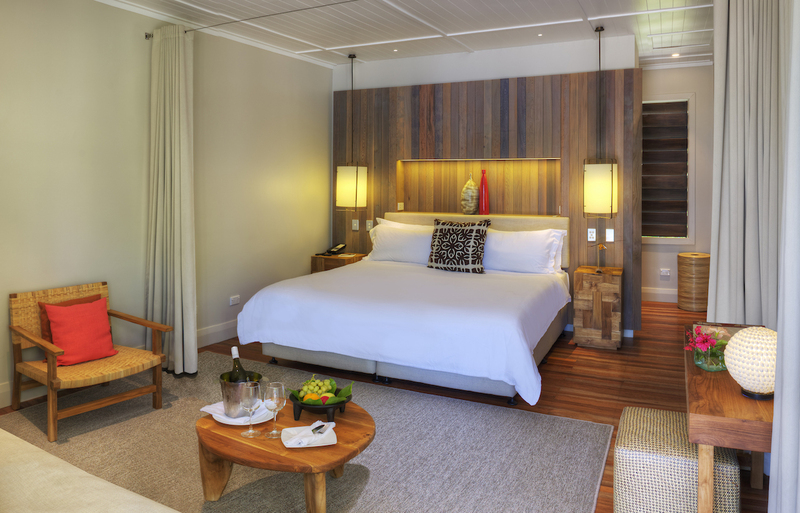 This 5 star, all-inclusive resort merges contemporary design sophistication with the island’s stunning natural surrounds. A new style of luxury that is understated, organic and genuine. Step ashore and explore a mix of world-class cuisine, scuba, snorkelling, hiking, luxury spa experiences, blissful seclusion, tranquillity and of course, sunset cocktails; all served with genuine hospitality. All accommodation rates are inclusive of all meals, non-alcoholic beverages including mini bar replenished daily, Kids village (4yrs +), daily snorkelling excursion, use of non-motorised water activities, yoga, Vomofit personal training, 9 hole golf course, tennis and daily laundry service. is the true fine dining experience. Exquisite meals at every service. Heading out on the daily snorkel trip to different locations each day. Sitting on our private villa deck reading a book. Our kids loved the kids club (which meant we also loved the kids club!). Vomo has the largest, most up to date and well equipped kids club that we’ve experienced. 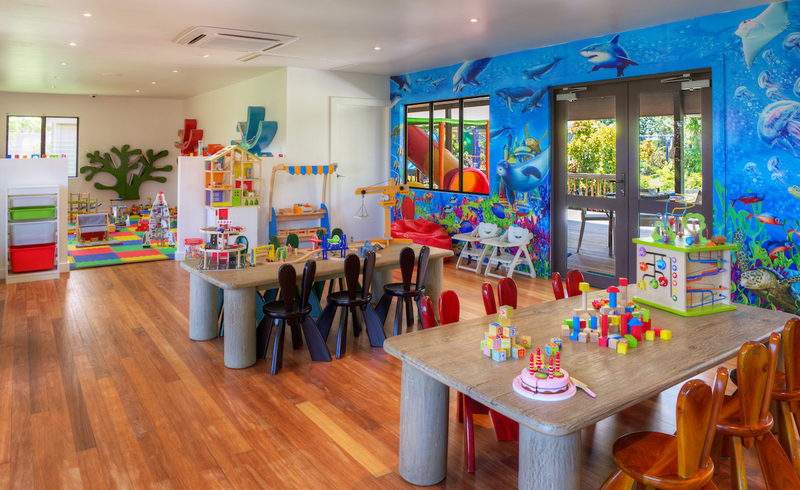 It’s open from 9am – 9pm daily, with a large play room, craft area, media room, outdoor undercover play zone, outdoor park, large grass to run around on and a cubby house. Our kids didn’t want to leave, ever. With the villas set privately and dedicated areas on the island for adults and kids, Vomo is perfect for romantic getaways and family holidays. Everyone can enjoy a private vacation and come together to celebrate the wonders Vomo has to offer.